St. Anselm located near Union Market is the second outpost of Joe Carroll's popular NYC restaurant that aims to bring some of the laid back vibes of Brooklyn to Washington, DC. 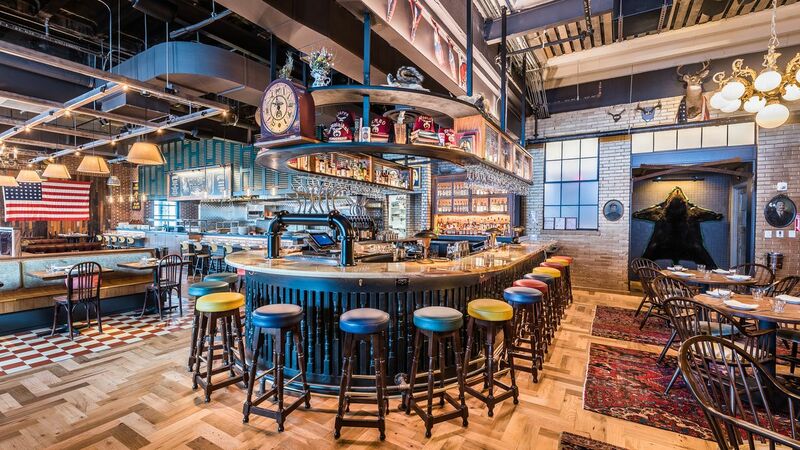 This welcoming American tavern is devoted to the pleasures of "grilled meats and great ingredients simply cooked". Closest Metro is NoMA-Gallaudet. We arrived for dinner at 7pm and the energy was buzzing, warm and inviting. Our server was incredibly friendly and welcoming. 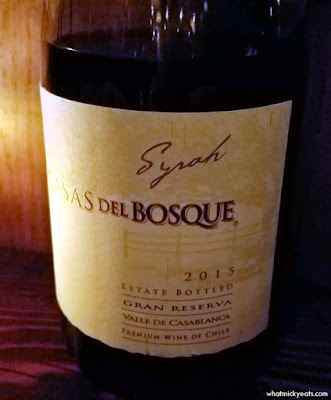 We quickly looked over the 58-page wine list and chose a bottle of 2015 Casas del Bosque, ‘Gran Reserva’ from Casablanca Valley, Chile. This syrah was dry and light on the palette that paired well with all the grilled food we were to eat. 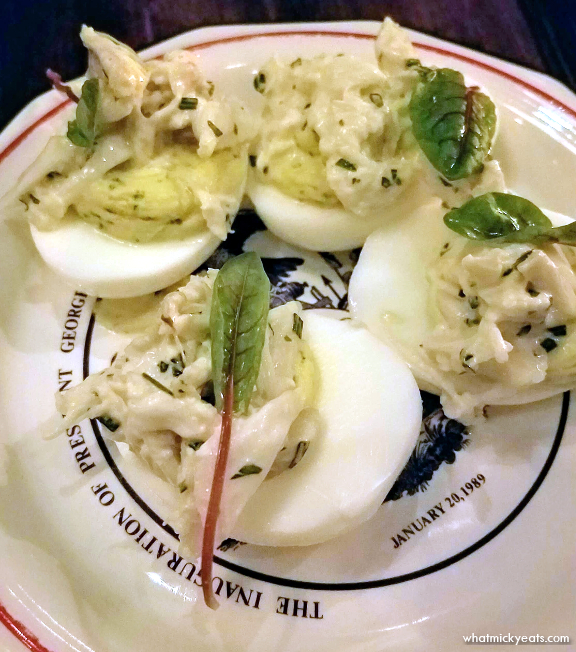 We started with the Blue Crab Deviled Eggs. 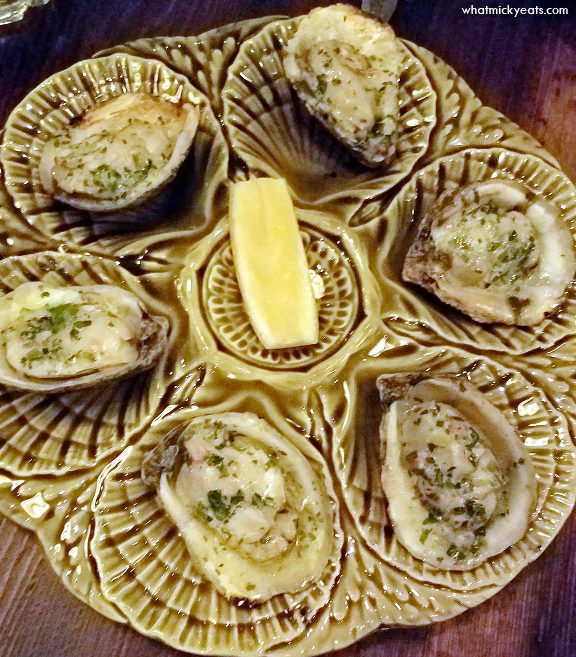 They tasted good and the lump crab meat was prevalent in each bite. 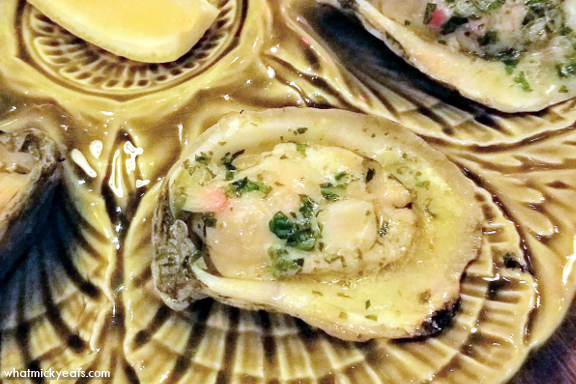 The Grilled Oysters were plump White Stones served with smoked herb butter. Six come in an order and were full of great flavor. I really loved these. For my main course, I chose the Salmon Collar. 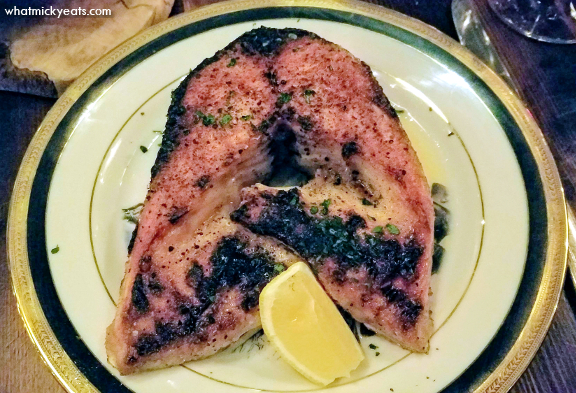 Grilled and served with simple lemon, the fish was tender and fatty, pairing perfectly with the wine. Just be careful of all the bones. 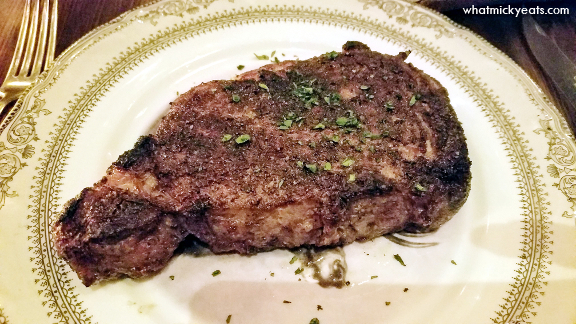 Keith enjoyed the classic cut of Prime 16 oz. Ribeye. It was seasoned simply and cooked at the correct temperature to his liking. They had other larger cuts great for sharing or to take home as leftovers, but since I don't eat red meat it would be too much and not worth the expense so he was happy with this size of steak. We also shared sides of Pan-Fried Mashed Potatoes and Creamy Spinach. 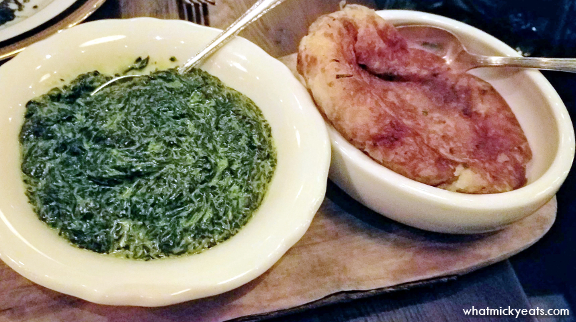 The potatoes tasted like a knish and the spinach was basic, yet both went well with our proteins. We did not have room for dessert, but they had a couple that sounded good. We saw some other tables order them and the size was enormous. We knew better than to force ourselves. Overall, we had a great dinner at St. Anselm. 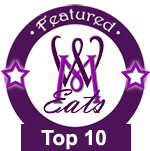 While steak is a specialty, Chef Marjorie Meek-Bradley's creativity doesn't stop there. The frat house meets lodge interior design was eclectic but not cheesy. The staff were all professional giving excellent service with a friendly breeze of hospitality. We were pretty impressed with this new restaurant.